The striking contrast between breathtaking monuments of a glorious past and modern elegant structures is what you will enjoy during your tour of Athens. Visit the Acropolis, the crowning beauty and glory of Ancient Athens, with its many monuments atop its rocky base, including the awesome Parthenon, the Propylea, the temple of Athena Nike and the Erechtheion, with its Porch of Maidens. 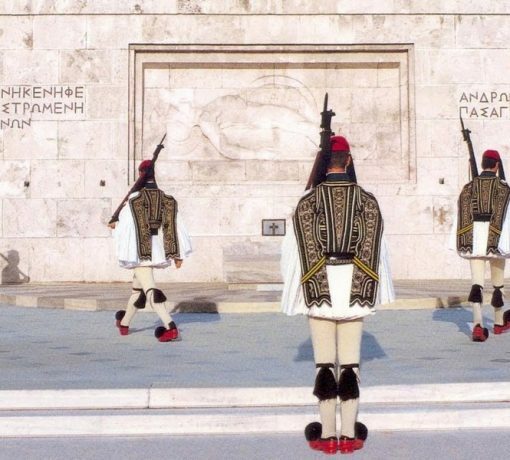 Drive to the Roman Temple of Olympic Zeus, the Panathenean Stadium (site of the first modern Olympic Games in 1896), the Tomb of the unknown Soldier in front of the Parliament House overlooking Constitution Square. See views of government buildings and elegant structures of the 19th century. Drive along Panepistimiou Avenue and view the Catholic Cathedral, the Academy, University, National Library. In contrast, conclude your tour with a visit to the Acropolis Museum, a marvel of architecture with a full exhibition of the glory of Ancient Athens.